I figured I may as well strike the Tebow search engine while it’s at its hottest. Even though my TdJ was worn about 2 months ago, I’m moved to mention today’s Tim Tebow’s playoff victory with the Denver Broncos. It was a very fun game to watch, as Tebow tebunked his image as an all-run-no-throw QB against the vaunted Pittsburgh Steelers defense. First play of overtime, long pass to Demaryius Thomas, turn out the lights, thank you for coming, drive carefully. So, back to the fashion portion of the blog. Or, rather, back to what passes for fashion with me. My Tie du Jour hearkens back to a pronunciation lesson that I posted many months ago. Ermenegildo Zegna crafted this light-green, striped beauty. So much quality in this tie. The subtlety of the colors, the weight of the fabric, everything. This will be a big hit on TieXchange, I can tell. And now I have another thing to count. 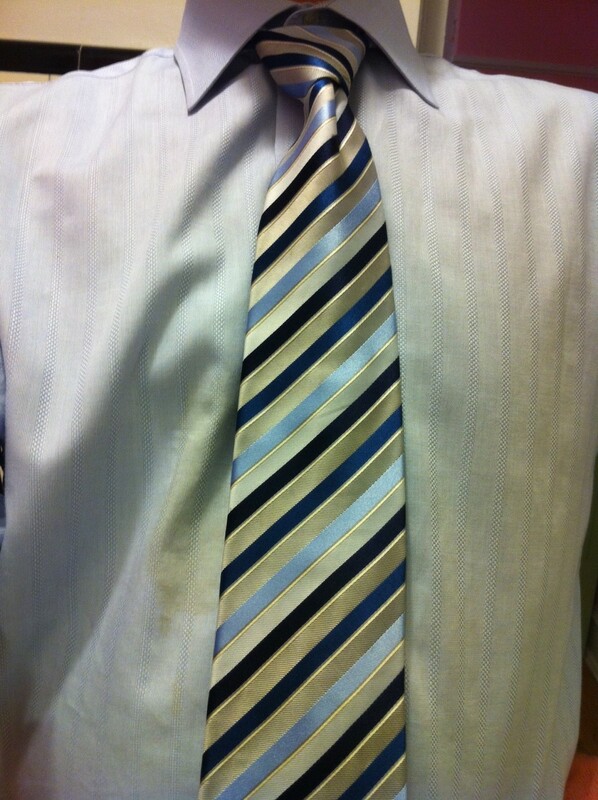 The number of ties that I have worn that remain un-posted. Yikes, it’s up to 16. Wait, that’s a lie. I have one on my crapiPhone (yes, I do think my pix have made their way back to crapi). That makes 17. And, the lie gets more lie-y…I’m wearing another. Eighteen ties. May need to have a marathon writing session here soon.